Lama Mark Webber brings over forty years of study, practice and teaching, helping to understand both the cause of suffering states and their cessation — a path of freedom, compassion and innate happiness. Always classically grounded in Buddhism and science, using diverse methods, often with humour, he illuminates the most essential points of all Buddhist teachings and meditations. No matter what kind of state, positive or negative: confused, emotionally upset, anxious or happy, dull, joyous, sick or angry, the very basis of all of our experience is unobstructed, luminous and pervaded with great love. The meditations that will be introduced will reveal our mind to be naturally free of all artifice, the ground of all of our experience, called Buddha-nature, Dzogchen, Mahamudra, etc. It is an all pervasive compassionate awakeness, known as bodhicitta. The teachings and meditations introduced will help reveal this essential innate mind. Sustainable happiness and deep compassion will not be found in chasing and grasping after outer objects, people, places and things. So too, no matter how fascinating, intelligent our thoughts and ideas are they mask the pervasive continuum of awake mind. Naturally at ease in our own skin, vividly awake, abiding in our mind’s basis — inclusive all of experience — is the meditation. Whether day or night, daily life, retreat or no-retreat, bringing bodhicitta, the mind of enlightenment, to all we do, feel, think and sense for the awakening of all. 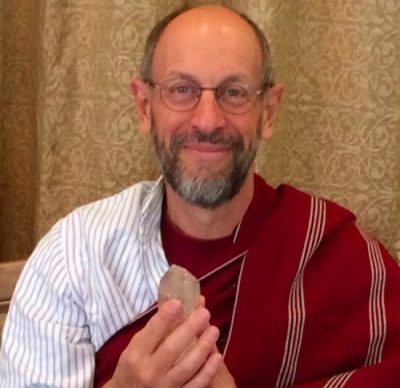 Lama Mark builds confidence in bodhicitta, opening up a love of Dharma, mentoring in developing a high level of capacity — strength — through listening, study, reflection and meditation to approach and become familiar with luminous awareness. Then comes the instructions to break-through to reveal this fundamental essence. It is like parting clouds with blazing sun and moon light. With enough capacity, we will know for sure that this natural pervasiveness is the meditation and conduct in every facet of life. This describes the heart of Lama Mark’s guidance and teachings. Friday Feb. 16th to Sunday Feb 18th: Bodhicitta. Bodhicitta springs forth spontaneously as the natural expression of primordial wisdom. Understanding and deep practice of the unity of compassion and emptiness is bodhicitta and great love of all beings. The expressions of bodhicitta are vast and wondrous in their power to free beings of suffering. It underpins all Mahayana and Vajrayana meditations, study and activity. That is the subject of these classes and meditations guided by the extraordinary 356 verses of Khunu Lama. Lama Mark will give the reading transmission and some commentary of Lama Khunu Gyaltsen’s verses of Bodhicitta, called The Jewel Lamp. He will supplement the commentary from his study guide called A Rainfall of Great Love: On Generating Bodhicitta, some mahāmudrā and dzogchen perspectives. (5 classes: Friday 7pm -9pm; Saturday and Sunday: 10:00am -12:00pm & 2:30 – 4:30 pm). Tuesday Feb. 20th to Thursday Feb. 22nd: Reading transmission and explanations of Padmasambhava’s text, A Garland of Views, A Guide to View, Meditation and Result in the Nine Vehicles. An overview and survey—with brilliant depth from the great saint Padmasambhava (8th century)—of the whole path of Buddha-dharma. With explanations from Jamgon Mipham’s (19th century) commentary called A Treasury of Gems about A Garland of Views. (3 classes: Tuesday, 7 pm-9 pm: Reading transmission of the text, Wednesday and Thursday, 7 pm-9 pm. commentary on select verses). Friday March 2nd to Sunday March 4th: Weekend Group Practice of the Amitayus-Padmasambhava Longevity-Deathlessness meditation. As the commentaries say, if our life energy is weak, or cut short, it is very difficult to meditate and study the Dharma. Without realizing the deathless continuum of mind, we will always be seeking quick fixes and temporary snippets of happiness. Friday, 7 pm to 9 pm – Amitayus Longevity Empowerment. Saturday & Sunday, 10:00 am – 12:00 pm, 2:30 pm to 4:30 pm – Amitayus Longevity Group Practice. Friday March 9th: Reading Transmission of Je Gampopa’s text, Precious Garland of the Sublime Path. An extraordinary deep collection of 28 topics of pithy advice, in Gampopa’s own words, distilled from his teachers’ guidance and two lineages of great masters. The text is intended for practitioners who wish to deeply unfold compassion and wisdom, thereby comprehending the nature of the Dharma. It is a collection of the most direct and pithy daily living and meditation instructions. There will be some commentary given explaining some difficult to understand statements. Friday, 7 pm – 9 pm. Saturday March 10th to Sunday March 11th: Transmission and instructions on the Padmasattva means of accomplishment. This is a profound meditation of Guru Rinpoche-Yeshe Tsogyal-Vajradhara from the Gonpo Yangzab Dzogchen lineage. It follows practices of Vajrasattva and Amtitayus-Padmasambhava Longevity-Deathlessness meditation. Saturday morning reading transmission. Explanations and group practices on Saturday and Sunday, 10:00 am – 12:00 pm & 2:30pm to 4:30 pm. Dates and times for other teachings, transmissions and empowerments to be announced during Lama Mark’s stay in Queenstown. Sunday March 18th: Empowerment to be Announced. Followed by a community feast (Tsok). Sunday 4:00pm to 6:30 pm. Available as: Vast as The Heavens and Deep as the Sea, verses in praise of bodhiciita. Khunu Rinpoche, Wisdom. Boston.